Brunch lovers! 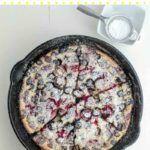 Cherry Berry Clafoutis is coming your way, and it’s gluten-free! This rustic French classic is now an easy gluten-free breakfast or dessert! 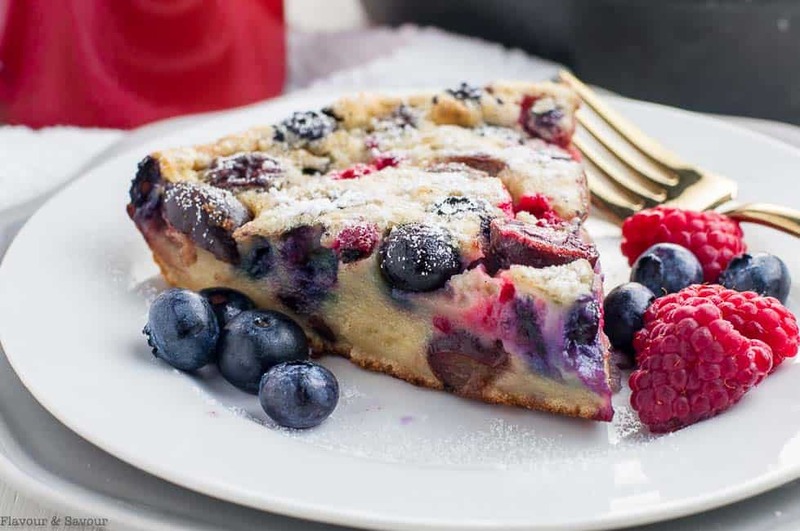 Clafoutis is a traditional French country recipe for a baked custard tart filled with fruit. 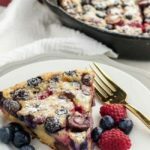 It sounds impressive, but if you can make pancakes or waffles, you can make this Cherry Berry Gluten-free Clafoutis. Is it breakfast or is it dessert? You decide. 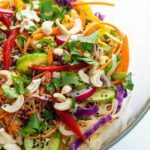 My recipe is sugar-free, so to me it definitely qualifies for a breakfast or brunch dish. But I’d happily eat it for dessert any day, too. Imagine it–warm, straight from the oven with a dusting of powdered sugar (or 0-calorie sweetener) with a piping hot cup of coffee or tea. It’s a no-fuss, quick and easy dish that you can make in a skillet or a cake pan, your choice. cherries and berries: I used 1 cup each of frozen (thawed) cherries, blueberries and raspberries. Fresh fruit would be perfect, too. cream and milk: use half cream and half milk, or whatever proportions you like. Cream will make a richer custard filling. sweetener: sugar or 0-calorie sweetener. I used Lacanto Monkfruit sweetener with erythritol. 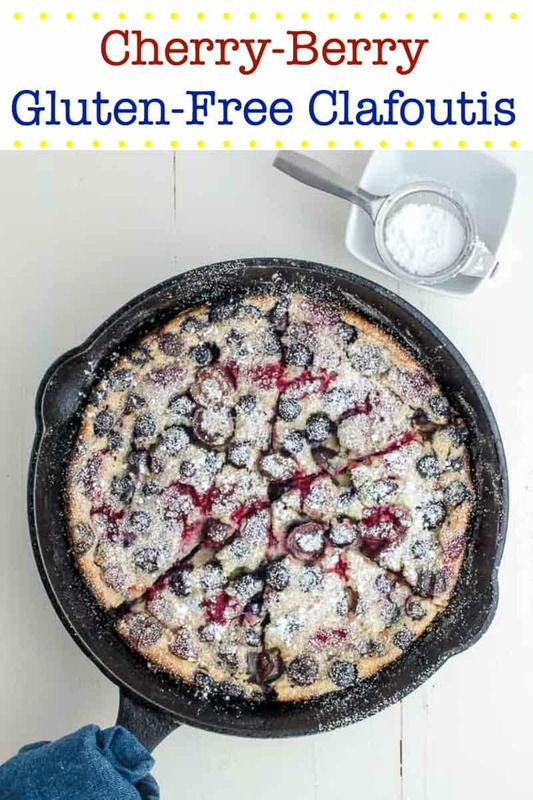 First, prepare a 10-inch cast iron skillet or cake pan by greasing it with butter and dusting with gluten-free flour. 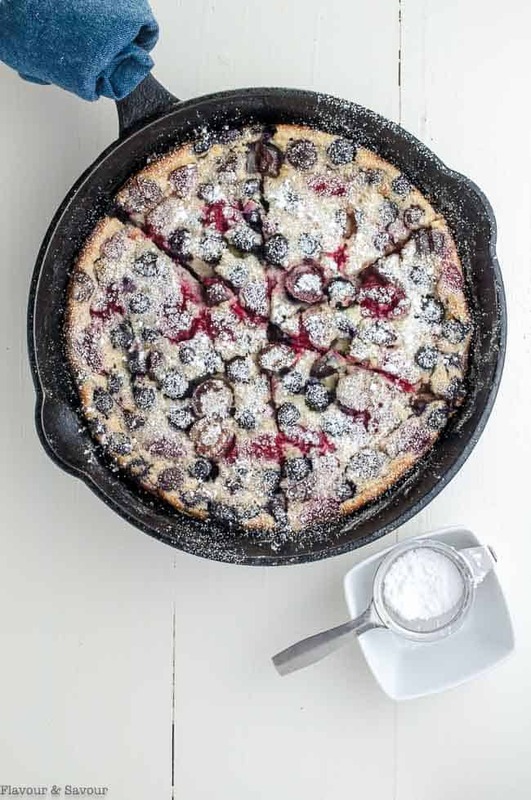 A cast iron skillet helps to keep the clafoutis warm after it comes out of the oven. 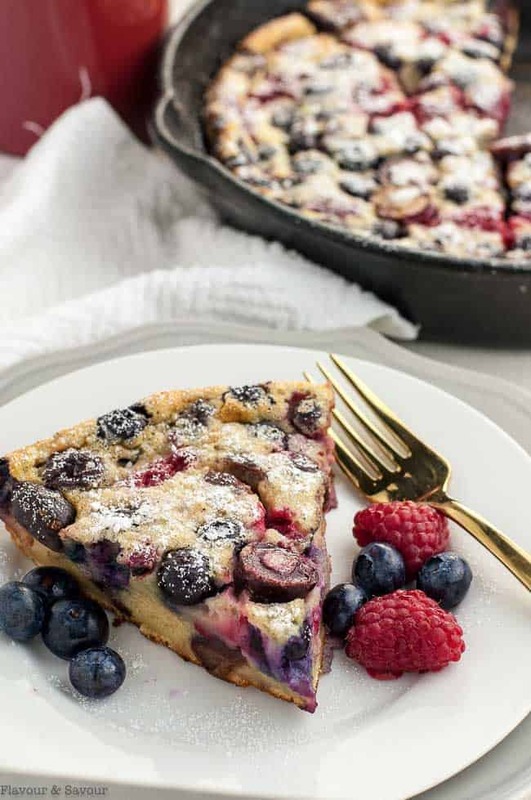 Next, spread the fresh or thawed berries and cherries on the bottom of the skillet. Mix the remaining ingredients together in a blender. If mixing by hand, combine the dry ingredients in one bowl, the wet in another, then stir well to combine. Finally, pour the filling on top of the berries and cherries and bake! It will puff up and turn slightly golden around the edges and look dreamy. And then . . . it will fall shortly after it comes out of the oven. No worries. It will taste divine. Use whatever fruit is in season, or even add in a few chocolate pieces. 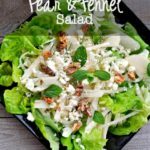 It’s delicious with apples and pears in the fall. It’s traditional to use whole unpitted cherries in this classic French country dish. I used pitted cherries and halved them as they were large. You decide: dessert, brunch . . . or both? Whichever you choose, this recipe makes a very easy gluten-free dessert or breakfast! 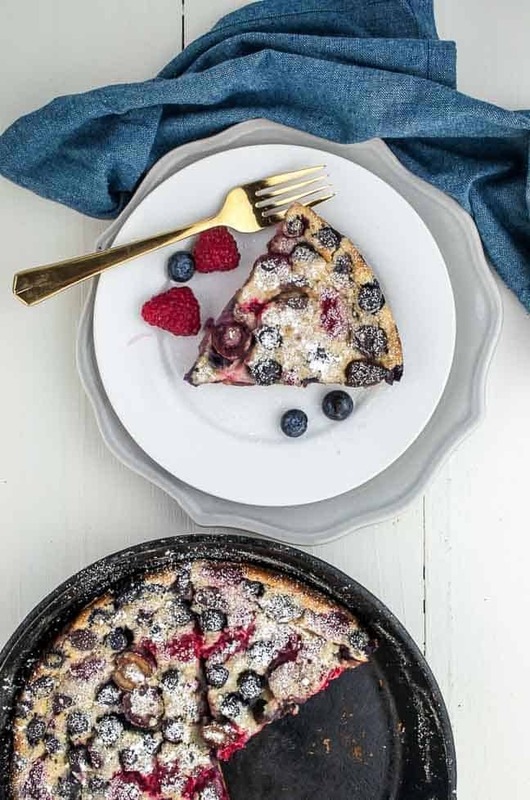 Love baked fruit dishes for breakfast? Try these breakfast recipes, too. A traditional rustic French recipe for a fruit-filled baked custard-based tart, now made gluten-free with sugar-free options! A quick and easy gluten-free dessert that's also delicious for brunch. Preheat oven to 375 F. Coat a skillet with or a 10-inch cake pan with butter, then dust with gluten-free flour. If using thawed berries, gently toss with 2 teaspoons cornstarch. Arrange fruit on bottom of skillet. Whisk together cream, milk, sweetener, eggs and vanilla in a mixing bowl until smooth. 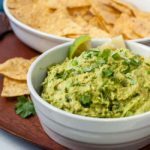 In a separate bowl, combine gluten-free flour, baking powder and salt. Whisk the dry ingredients into the cream mixture until combined and no lumps remain. Alternatively, put both wet and dry ingredients in a high-speed blender and process until well combined. Pour the mixture over the berries and cherries in the skillet. Place in the middle of the oven and bake for 35 minutes until golden and puffy. Cool on a wire rack for a few minutes. The top will fall slightly and settle.. Dust with powdered sugar, if desired. Serve warm with extra berries. If serving for breakfast, drizzle with maple syrup. If serving for dessert, consider whipped cream or ice cream. 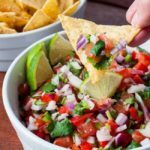 This was delicious and so easy! I used raspberries and blueberries that I had in the freezer. My family loved it. Thanks for a “keeper” recipe! Hi Dierdre, One of the best things about clafoutis is you can easily change what kind of fruit you use! It’s a great way to use up frozen fruit.